Washington Island, Wisconsin isn’t the first place you would think of when it comes to naming a birth place of a gin brand. To be fair, compared to the likes of Britain and Holland, the US lacks the productivity and numbers of every mothers favourite tipple. But the trend is changing, and America is once again embracing the juniper based spirit with open arms and producing some classic brands in the process. There’s one brand in particular that I’ve personally been trying to get hold of for a couple of years now, and not for the lack of trying. You get the sense of a great gin when only limited bottles come over to be stocked in your favourite spirit merchant, only to run out after a day. But before we come onto taking a look at the brand, we have to venture back into the history of Washington Island, and how it has raised itself to be a significant contributor to the making of Death’s Door. Washington Island is like a fairytale. ‘A 22 square mile island that hosts 700 residents who enjoy the school, a rec center, a medical clinic, a downtown strip with bars and a grocery, churches, a bank and a gas station. What Washington Island also has is miles of beautiful uninterrupted shoreline, protected coves and inlets, and acres upon acres of open land with rolling hills and hardwood stands’. Washington Island is also famous for its potato farming, exporting all over the world until the 1970’s when the potato industry packed and left, leaving the island with no reason to grow its crops. 2005 thought saw a resurgence, after a small group explored the possibility of reinvigorating the farming culture. It wasn’t just potato they thought of, but also wheat, as two brothers, Tom and Ken Koyen, saw the opportunity to try something different. This wheat is now the select speciality grain for use in Capital Brewery’s Island Wheat Ale and all of Death’s Door Spirits products. With this significant contribution towards this, both Death’s Door Spirits and Capital Brewery have supported the farmers’ efforts on Washington Island to expand the acreage of hard red winter wheat from five acres to 1,200, while two years ago organic certification was achieved for all of the crops. So how did Death’s Door come about? Following on from the resurgence of the agriculture trade on Washington Island, founder Brian Ellison commissioned the construction of Death’s Door new state-of-the art distillery in Middleton, Wisconsin which was completed on June 4th, 2012, becoming the largest craft distillery in Wisconsin and one of the largest in the region. 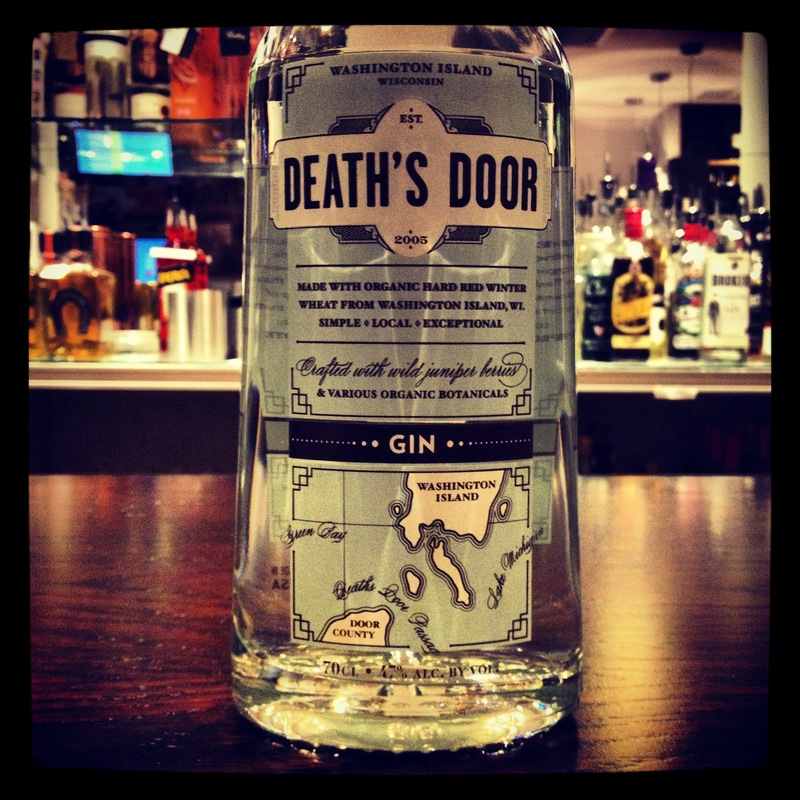 The distilling of Death’s Door is led by John Jeffery, who uses the local organic red winter wheat, the Death’s Door vodka base, as well as only three botanicals (coriander, fennel, and juniper) which again are all sourced locally from Wisconsin. A good, soft hit of juniper and coriander on the nose, with a spicy start on the palate. It mellows slightly, with the fennel coming through alongside the coriander to create a herbal combination. Lingering spice on the tongue as it finishes. Add all ingredients except absinthe to an ice filled shaker. 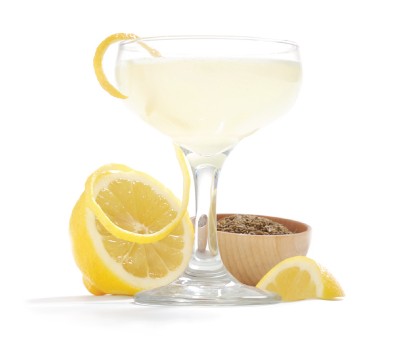 Shake and strain into a chilled coupet glass rinsed with absinthe. Garnish with a lemon ribbon. Death’s Door takes its name from the body of water between Door County peninsula and Washington Island. You can take your own bottle from here as part of your collection. I’d say share with your friends, but once you try, i don’t think you’ll want to!